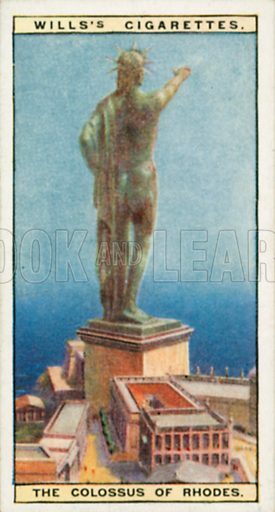 The Colossus of Rhodes. Illustration for Wills's Wonders of the Past cigarette card series (early 20th century). Available worldwide for immediate download up to 2,931 x 5,459 pixels.